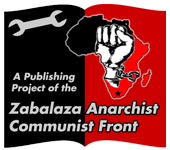 In this essay I will examine some selections from the Organisational Platform together with some of the writings of Nestor Makhno, as a starting point in the question of anarchist organisation. So as to avoid lengthy explanations of historical context, I will assume the reader is familiar with most of these materials. For those who are not, I refer as a main source and starting point for research to the work of Alexandre Skirda (Facing the Enemy: A History of Anarchist Organisation from Proudhon to May 1968, with a translation and discussion of the Platform) and to The Struggle Against the State and Other Essays by Makhno. Note that this is not meant as a comprehensive analysis of the Platform, so much as a look at certain of its shortcomings or weaknesses which I would like to repair. After going through these I will then conclude with some general propositions as to how we might construct and/or improve our organisation, taking off from my discussion of the Organisational Platform. Here we find perhaps the best summary of what the Platform aims to achieve (although it should be noted that elsewhere the authors specify that the “General Union of Anarchists” would not encompass all anarchists, but simply those in agreement with its basic principles) — namely, to generalize and co-ordinate effective patterns and methods of local resistance, otherwise confined to isolated groups and individuals. That is in fact the very essence of revolutionary organisation — without it there is no coherent direction and victory is impossible. While here it is uncertain what exactly is meant by “fraternal discipline,” we might point to Bakuninist line of “ongoing fraternal monitoring of each by all” (mentioned several times by Skirda) as a precedent to this concept. Assuming the word “fraternal” to indicate a spirit of mutual aid and camaraderie, it seems to me that this “principle of fraternal discipline,” together with the above definition of revolutionary discipline, provides a much better solution to the problem of collective responsibility. In fact, it is in keeping with the statement that “the Union as a body will be answerable for the revolutionary and political activity of its members” and vice versa. However, it clearly stands apart from (and in my view above) the idea that “revolutionary activity cannot be based upon personal responsibility,” since it effectively combines both personal and collective responsibility. In regard to the above definition of federalism, there are two things to be said. First is that the idea of free federation (i.e. free association) as essentially put above, is itself fundamental to anarchist principles. Furthermore, this concept is in full agreement with the idea of revolutionary discipline as discussed earlier. On the other hand, there is some confusion between the notion of free federation as an organising process, and “federalism” as an organisational format. There is a difference between the two, as there is also a difference between the “individual’s independence” and the “organisation’s independence” (although they are often lumped together). I personally would criticize the orthodox anarchist emphasis on autonomy of organisations within federations — which is merely a technical issue, and no different from bourgeois federalist models — and the simplistic lumping of “centralist” organisations into the authoritarian category (as we can observe in the second quotation). This seems to me something of an inconsistency of logic within the Platform, which in one place speaks of “unitary” organisation (when discussing tactical unity), and in the next place denounces all forms of centralism as authoritarian and calls instead for “federalism.” The choice of words is confusing, in part because in all other circles and in any standard definition “unitary” would be considered as substantially no different from “centralist,” and federalism would be viewed as conflicting with either “unitary” or “centralist” organisation. On a similar note, I would argue that not all forms of centralism stunt “the spirit of criticism, initiative and independence.” Theoretically speaking, the Leninist notion of “democratic centralism” achieves exactly what the Platform ascribes to federalism: combines individual initiative and freedom with organisational discipline and unity. The problem with Bolshevism (an issue very relevant to the authors of the Platform) when it comes to internal organisation lay largely in the fact that it did not really practice democratic so much as bureaucratic centralism. In fact, it must be said that the ideas of “democratic centralism” and “federalism” (as defined in the Platform — “free agreement of individuals and organisations upon collective endeavour”), and for that matter revolutionary discipline as described by Makhno, when applied to individual groups, are practically identical except in terminology. As I see it, the key to an effective revolutionary organisation is to combine certain elements of libertarian federalism (free federation of individuals and groups) with the theoretical sense of democratic centralism (e.g. “freedom of speech, unity of action”). This means that the emphasis must not be placed on the autonomy of component organisations but on the co-ordination of the whole organisation through direct correspondence of groups with each other and with the central organisation (including the “Executive Committee” and the “Congress of the General Union”). As far as central organisation goes, I am inclined to favour direct election of delegates and membership votes on general policy as a more participatory and democratic method, insofar as we should favour such formal institutions in the first place. While one would think this was a given for a libertarian organisation, unfortunately many anarchist federations have resorted instead to systems of indirect representation said to assure greater autonomy to component organisations. In any case, whatever the intentions of such “federalist” groupings, it seems to me that an organisation which at all levels and in its entirety is guided more directly by its base is always superior to one that is controlled and guided by a minority (as is the nature of indirect representation, given the filtering out process that occurs when leadership is separated from the base). Additionally, I would argue that regional sub-organisations (i.e. component organisations above the local level) ought to be reduced as far as possible (if not outright dismissed) to the intermediary role of channelling local initiative into the central organisation. (To put it another way, organisational direction should be “polarized” between the local and central levels, thus minimizing or eliminating the “middle man” level.) In these ways (more direct participation and “polarization” of leadership) the power of local groups will be increased while providing an effective central organisation to co-ordinate and generalize local activities. This will be further aided by devising and elaborating an ideological and practical program to guide the organisation in its various actions — all of this in order to reduce bureaucracy while improving cohesion and discipline. All that is needed beyond this for an effective organisation is a thorough understanding and internalization of our ideals and methods, and a personalized sense of purpose and commitment by every militant (i.e. revolutionary consciousness). This raises the question with which I conclude this essay — and which I hope to discuss more thoroughly at some other time — of how we are to go about developing such a program as well as instil a personal understanding of our principles within each militant. This also relates back to my earlier question on “ideological unity” as called for in the Platform (see second paragraph). I now propose an answer to all of these questions: through ongoing patient study of revolutionary history, to explain and to compare with our present circumstances. More than that, it will also help us to explain and elaborate our program in concrete terms for those outside our movement. Not only is this the basis of our program, but it is the key to instilling a revolutionary consciousness that stands above mere individual self-interest. We might also ask how this sort of practice can be systematized beyond the lone research of individuals. To that my answer is, by preparing and putting together study groups to read and discuss the historical movements in which we are rooted, while putting them in a relatable context. Those partaking in such study groups who come to our same conclusions and wish to put them into practice, will find in them an excellent point of departure in forming their own specifically anarchist groups. From there it is only a matter of connecting with the rest of the movement and to the masses by involving ourselves in the struggles of the day. Taking up where I left off before, I will now discuss some of these points more completely. I will then sketch out essentially what I view as the role of our organisation and revolutionary program. As an additional note, I will make some clarifying remarks on the question of federalism, in reply to the comments made by “Javier” * regarding my previous essay. In my previous “Notes on Anarchist Organisation”, I set out to lay the groundwork for a fresh analysis of the organisational problem in the anarchist movement. With the Organisational Platform and related materials as the starting point in my analysis, I briefly proposed ways of constructing or improving our organisation in a practical way. Taking up where I left off before, I will now discuss some of these points more completely. I will then sketch out essentially what I view as the role of our organisation and revolutionary program. As an additional note, I will make some clarifying remarks on the question of federalism, in reply to the comments made by “Javier” regarding my previous essay. As before, I will assume an overall familiarity with the subject by most readers, and for those unfamiliar I refer again to Alexandre Skirda’s work as an excellent starting point. This point brings up not only the question of how to select such personnel, but again how they are to internalize the revolutionary consciousness necessary to make reality out of the principles of personal and collective responsibility in a libertarian organisation. The notion of “choosing and absorbing” from the masses the “most revolutionary personnel most endowed with critical spirit” clearly implies the need to carefully pick out and select the most capable individuals from among the popular masses. This is no simple matter of spouting off rhetoric to whoever will listen and hoping to win over the more advanced elements through propaganda. It is even more than simply a matter of choosing those who appear in their ideas to be closest to our thinking. Rather, it is a matter of grasping certain qualities (i.e. “critical spirit”) which make for a powerful revolutionary force when harnessed. In short, it is more a question of revolutionary instinct than of calculating where one stands on some theoretical political spectrum. With that understanding of revolutionary potential in mind, I suggest that the best method of drawing out such characteristics is by ongoing thorough study of revolutionary history (that is when personal experience does not suffice). Therefore I believe it is crucial that this sort of material be put to use in elaborating our program — for the more that is understood of past revolutionary experience, the more we will understand our own struggle and the direction it must take. From the standpoint of organisation, this means using such material in ideologically training and preparing militants, by means of study groups or individual study of certain fundamental materials as a prerequisite of membership in our organisation. That would also help weed out would-be members who lack commitment or discipline, ensuring a higher degree of these qualities within the organisation. I should qualify this proposal in practical terms. The conditions we face (in the United States at least, that being my personal vantage point) require us to thoroughly explain our ideals and our program to the masses, often consisting of middle-class workers and young people domesticated and influenced by bourgeois materialism. Above all we wage the ideological struggle, in particular where significant democratic rights exist along with considerable economic prosperity (although in the U.S. these are increasingly being eroded). Unless the people in imperialist countries are made to understand the violent and exploitive role of the state and capitalism in other countries as well as at home, there is no real chance of a revolutionary upheaval (at least until the market fails and the working middle class finds itself in poverty, many signs of which are becoming imminent — and even then it will lack a revolutionary consciousness, being rooted entirely in material self-interest). That is why it is of utmost importance to instil in our ranks (and from there the masses) a complete understanding and internalization of our theoretical program. Note the last point regarding the “training of personnel” and defining anarchism’s “dynamic role in the early days of the revolution.” This is, of course, exactly what Makhno and others sought to achieve in the Platform, albeit with some inevitable limitations, and it is the same question we must “face up to” presently. Aside from that, I highlight the above quotations by way of bringing up to additional points relevant to our program which I have not yet discussed. First — regarding “vanguardism.” This is a notion that is often denounced as authoritarian, mainly due to its Marxist-Leninist connotations. The assumption by many anarchists is that a “revolutionary vanguard” necessarily aims to conquer state power and wield it dictatorially, as is typically the case with Marxist-Leninist parties. However, they fail to consider that this is only the case if the aim of the revolution itself is to seize state power — which is not the case in anarchism. Now, there are some Marxists who claim that anarchism in fact is not revolutionary at all, because they believe a revolution must always culminate in seizing of state power. We anarchists have always argued that the social revolution will only be complete when the state is abolished, and therefore we aim not to conquer state power but to completely overthrow the state without reconstructing it. All of this is well-known by anarchists — they would not be anarchists otherwise. Yet somehow many anarchists fail to recognize that likewise a revolutionary vanguard need not aim to seize state power. On the contrary, any anarchist group which takes upon itself the responsibility for leading and instigating a revolutionary upheaval is acting as a vanguard. Not only is this compatible with anarchist teachings, it is the very essence of revolutionary anarchism. As anarchists, we are everywhere and always in revolt against authority. That is why, as Makhno wrote in “Our Organisation” (in The Struggle Against the State and Other Essays), anarchism “is inherently revolutionary and can adopt only revolutionary modes of struggle against its enemies.” Or as it was put by the syndicalist Fernand Pelloutier, the anarchists are “rebels around the clock, men truly godless, masterless and nationless, irreducible enemies of every despotism, moral and material…” (qtd. in A. Skirda, Facing the Enemy p. 66). In other words, we are always in the frontline of the revolution, leading on the class struggle. It is for this exact reason that we are usually a minority and are accused of being anti-democratic or even dictatorial for seeking to “impose our beliefs” on the masses (i.e. for upholding our ideals even though we are outnumbered). Emanating from the heart of the masses of the toilers, the General Union of Anarchists takes part in all aspects of their life, always and everywhere bringing the spirit of organisation…. Only thus can it fulfil its role, it’s theoretical and historic mission in the toilers’ social revolution and become the organised instigation of their process of emancipation. Thus despite the different words used (i.e. “spearhead,” “mentor” or “instigator”), one can clearly sense the notion of a vanguard in the Platform (some translations even use the word “vanguard” in place of “instigator,” although Skirda points out the translation is inaccurate). That said, there is some difference between the role ascribed to the “General Union of Anarchists” by the Platform, and Makhno’s description of the role of the Gulyai-Polye group in the Makhnovist insurgent movement, bringing me to my other point. Second — regarding insurrectionism. Referring back to Makhno’s writings, we can gather in addition to “vanguardism” certain characteristics of insurrectionism, specifically where he speaks of “organising the insurrection directly,” which is fitting enough for an anarchist. What strikes me as more important is how to apply this particular example with all of its lessons to the conditions of a country like the United States. Now, it seems to me out of the question to speak of armed struggle in the present conditions, both for moral and strategic reasons. Even so, it is well worth examining the possible applications of insurrectionist ideas. This is important, in part because our anarchist principles require that we “adopt only revolutionary modes of struggle” (implying that we disregard bourgeois legality in favour of militant direct action by the working class), and in part out of recognition of the extraordinary place of Italian insurrectionism in the anarchist movement. Out of all the historical currents of thought and action to spring from anarchism, the two meriting the most distinction for their practical contributions to the movement are syndicalism and insurrectionism (I do not include “Platformism” because its chief contributions have been theoretical, there being no outstanding examples of its practical achievements until recent times). The former, while it deserves credit for firmly establishing anarchism as a credible working-class movement, must also be criticized by anarchists on the grounds that it has consistently devolved into reformist tendencies typical among labour unions. The possible exception to this is in the Spanish Revolution — and there it must be said that syndicalism (vis-à-vis the CNT-FAI) played as much a role in holding back the revolution as in advancing it, for much the same reasons that it has elsewhere stopped short at limited reforms. In short, it is clear that revolutionary syndicalism is in no way “sufficient unto itself” as was believed by its original anarchist exponents. As for insurrectionism, although comparatively recent as a specific theory, its essential ideas are rooted in elementary anarchist teachings, seeing as anarchism itself was born of insurrectional tendencies in particular coming out of the French Revolution (and in fact going back much earlier). Bakunin and other early anarchists (notably Malatesta, a leading Italian anarchist) espoused many ideas and methods that were essentially insurrectionist (although in later years Bakunin shifted towards a syndicalist approach foreshadowing the idea of the general strike, influenced by the First International). In addition, we can point to the remarkable record of insurrectionism — in Italy and Spain in the anti-fascist resistance, in carrying on anarchist resistance in Italy, as well as in insurrectionists’ steady stream of insightful analyses on international issues (in particular on the Middle East) — as proof of its continuing importance to revolutionary anarchism. In all of these regards, the outstanding commitment and extraordinary instinct for action on the ground clearly exemplify the profound revolutionary capacity of insurrectionism. On the other hand, despite the theoretical insight of insurrectionist writings at a general level, insurrectionist groupings have never been able to apply these ideas beyond isolated actions, even at the height of their popularity in Italy. Now, it is possible that I am misinterpreting (I am no expert when it comes to the details of the post-World War Two anarchist movement in Italy), but it seems to me that one basic reason for this inability to generalize their groups’ activities in a broader way is the lack of a disciplined organisation to co-ordinate their most effective methods and actions. Now, if only the basic idea of the Organisational Platform were applied to their movement, perhaps (there is no guarantee) such a generalization would take place, laying the basis for an organised revolutionary upheaval to occur. In that way, we would shortly find the best and most far-reaching insights of insurrectionist theory become reality. Beyond that, I would again argue that the common preference among insurrectionists for armed struggle as a mode of action is out of touch with the objective and subjective conditions of a country like the United States (I will not address other countries’ situations). We have seen amply demonstrated how armed “guerrilla” groups (if it is even fair to call them such) in the U.S. achieve nothing of value and only serve to discredit radicalism and alienate the people from revolutionary ideas. Even popular riots (such as in Seattle) fail to either make a significant impact in the struggle or to win over the broad layers of masses to the cause of rebellion. That is not surprising for anyone who is in touch with the popular mentality, and for that matter it should not be surprising that violence would be viewed distastefully by the masses (after all, anarchist theory deals largely with the institutional violence of the state). Remember also that it was similar activities that first led to anarchism’s discredit among the widespread public, and it was mainly the advent of syndicalism that revived it as a meaningful popular movement. In light of those considerations, I believe it is of urgent necessity that we develop a non-violent approach that is nonetheless militant in a revolutionary sense. Our methods must be strictly in keeping with the line of intransigent working-class militancy in a real sense of the term (i.e. “only revolutionary modes of struggle,” and also as expressed in the Platform), and at the same time must consist of non-violent tactics capable of winning over the popular masses and of securing the moral high ground in the struggle. Despite the typical limitations of non-violence and of the ideological shortcomings of pacifism, there is a rich history and a wealth of literature on the subject to start off from in devising a more complete strategy of militant non-violence. Expanding on that notion, it is also worth studying the historical examples and possibilities of non-violent insurrection. All that said, I am personally inclined towards a more informal style of organising and flexibility in our tactics and our practical program. The fundamental point in my opinion is not the need for an all-encompassing organisation (which by itself would simply lead to bureaucracy), but rather the importance of a coherent direction for the movement as a whole, and for a consistent and co-ordinated practice within our ranks. Thus any larger organisation should be constructed on the basis of a firmly-grounded practice by local militants, and our program should not be strictly defined in terms of some “manifesto” or “platform” (although such documents may be helpful as point of reference), but should rather be the living expression of our general and day-to-day activity, subject to ongoing revision and refinement until our fundamental goal is achieved. In that sense, the informal approach that is favoured by insurrectionists can be a healthy weight against bureaucratic tendencies arising as we overhaul our ranks. Stepping back, I believe that the best starting point for such an approach is in forming study groups to read and discuss revolutionary theory and history, with a view to internalizing through personal understanding our anarchist ideals, and setting out with a clear sense of our practical program. As I have already said, this is not a new idea — its inspiration can be found in the studies organised by the Gulyai-Polye anarchist group and Makhno himself (see A. Skirda, Nestor Makhno — Anarchy’s Cossack ch. 4-5, in particular pp. 22-4 and p. 30), not to mention many other anarchist groups. However, its systematic use in this regard has not been applied fully or consistently enough for the most part. Furthermore, this approach is more inclined towards informal personal interaction, as opposed to a “committee” style of interaction that contributes to bureaucratic trends and a certain lifelessness stemming from pointless formalism. I will now wrap up with my reply to the comments by “Javier” on federalism, in regard to my “Notes.” In his comments he remarked that I “missed the point” on federalism, which to him is “one of the biggest misunderstandings common in anarchism.” He then quoted a paragraph from the Platform summing up their view of federalism, and followed with an explanation of the confusion over this notion stemming partly from the differing interpretations among the different anarchist currents. All of that is perfectly on the mark in my opinion. However, there is some confusion in turn about “democratic centralism” and the issue of autonomous organisations within federations. This is probably due in part to my own lack of clarity by not including specific examples to illustrate my views. I will therefore explain my views in more specific terms below. Regarding centralism, Javier writes: “Centralism means moving the centre of gravity of decision making from the base, that is the whole organisation, to higher more reduced bodies…” as is typical of Marxist parties. The assumption is that “centralism” is always bureaucratic and top-down. Fine, we can accept this definition given on a historical basis. It is also only natural that “freedom of speech, unity of action” is, as Javier says, merely a statement of intention, as is also the case with the Platform. But the question is how to apply stated intentions in practice. The intention with democratic centralism is to apply this principle to the party structure, in the sense that decisions democratically reached by the organisation are carried out by members with the strictest discipline. The problem is not with the term “centralist” (a purely semantic issue), but with the fact that leadership is actually centred in “higher more reduced bodies” and directives bureaucratically issued down to the base. In short, the “democratic” aspect is a façade, or at least that is the usual case as with Bolshevism proper. Yet even many Marxists have attacked this tendency as conflicting with the principle of democratic centralism, proposing other forms more directly democratic and focused at the base level (i.e. a non-hierarchical format). My point is not that we should adopt the slogan of democratic centralism, but that we should take the best aspects of this organisational principle (not its typical applications) together with the best aspects of federalism — which as I see it would be more precise than simply speaking of “federalism,” given the confusion surrounding the term. Again the confederal principle that each trade union is an independent organisation and the federation is nothing but a conglomeration of these independent unions. That approach has some place in syndicalist structures when it comes to economic problems of a technical nature; but in terms of political or “anti”-political direction, there should be no question but that the source of leadership is the entire membership (i.e. “one man, one vote”) and not the affiliated organisations. Of course, the confederal approach is to be expected in a trade union federation, which is in part why trade unions are insufficient as revolutionary organisations. Not that they ought to be abandoned as a form of working-class organisation — simply that it is not “sufficient unto itself” to bring about the revolution, and certainly does not compose a specifically anarchist organisation. That requires a specifically anarchist “vanguard” group with a clear program to lead the struggle forward and lay groundwork for a revolutionary upheaval.